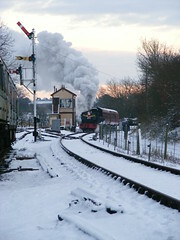 Celebrate the coming of Christmas with a trip on one of Santa's Special Trains. Visit Santa in his Magical Grotto, then take a train ride along the Northampton & Lamport Railway from Pitsford and Brampton station. Trains will run on Saturdays and Sundays from 27th November and 3rd to 18th December. As there are a large number of children (and adults) who want to meet Santa, he has asked us to make appointments for your visit. These start at 10:45 and are at ½-hour intervals with the last appointment at 15:15. 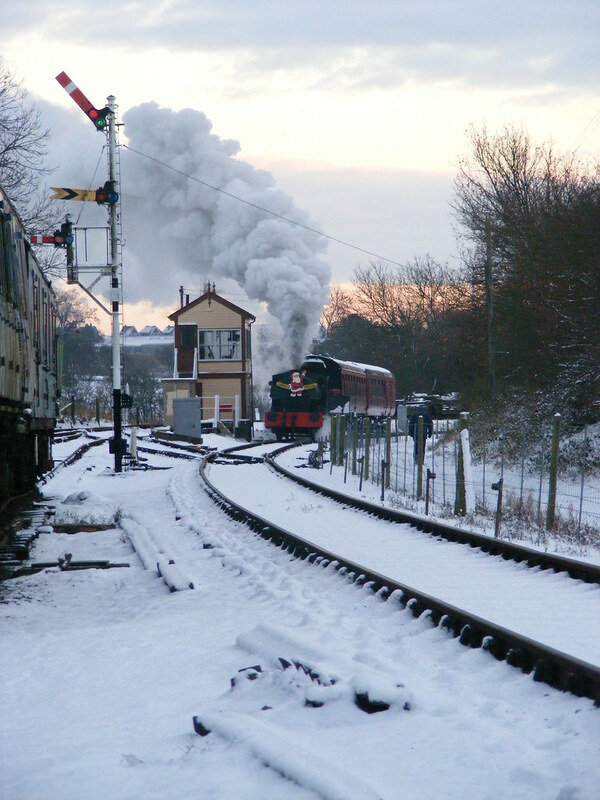 There will be a frequent train service operating each day so having seen Santa there will be a minimum delay before you board the Steam Train and enjoy the ride and your refreshments. Every child will receive a present from Santa, a soft drink and biscuits. Every adult will be given a glass of sherry (or soft drink if preferred) and a mince pie. Owing to the popularity of our Santa Specials, advance booking is essential to guarantee a ride and avoid disappointment. In the event of cancellation or amendment to pre-booked tickets, there will be an administration charge of �3.00 per booking. Call our Booking Hotline on 01604 820 327 on Sundays between 10:00 and 16:00 or (from mid-October) Wednesday to Friday between 13:30 and 17:00. Online Bookings: Available soon — a link will be posted when the online booking system is up and running. Fares Held — no price increases from 2010. Admission price includes train fare. Every child will receive a present from Santa, a soft drink and biscuits. Every adult will be given a glass of sherry (or soft drink if preferred) and a mince pie. Trains will run to a special timetable with frequent departures as required.